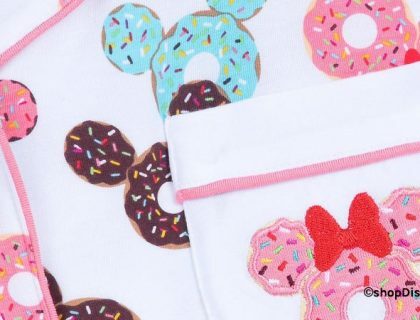 A new Mickey Mouse Merchandise line has arrived on shopDisney. 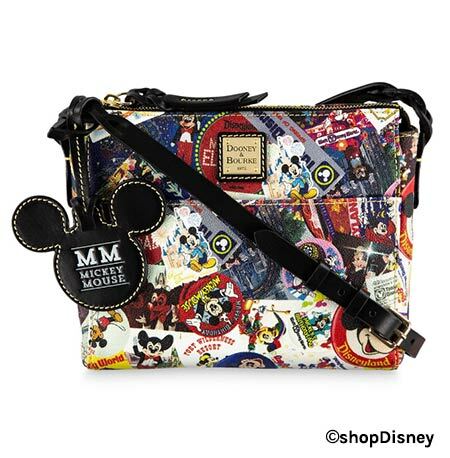 The Disney Parks Mickey’s Celebration Collection highlights the fun, fantasy, and whimsy across the Disney Parks through the decades. 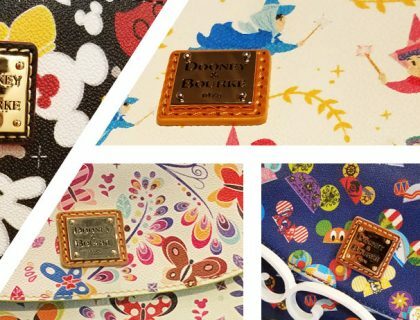 This collection reads like a who’s who of Disney Parks nostalgia, and provides us with some amazing new Dooney & Bourke items as well as a stylish retro dress. 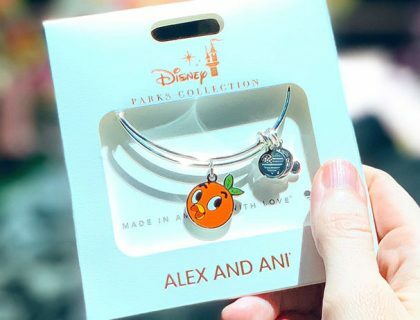 Quick update: we stopped by Magic Kingdom and found the Dooney & Bourke Disney Parks Mickey’s Celebration Collection at Uptown Jewelers. 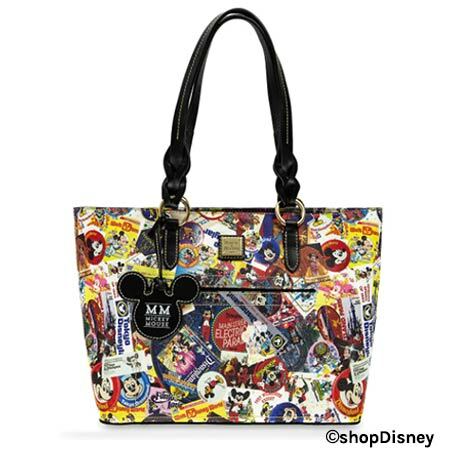 You’ll find four Dooney & Bourke items in the Disney Parks Mickey’s Celebration Collection. 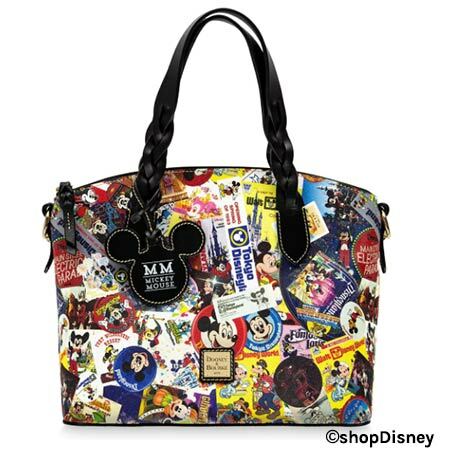 There’s a satchel, tote, crossbody bag, and MagicBand. 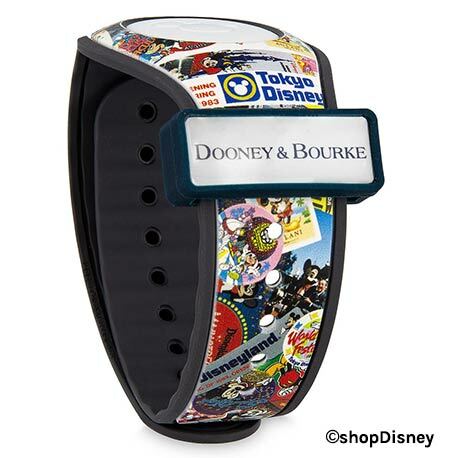 They all feature an all-over design of classic Disney Parks memorabilia and photographs through the years. 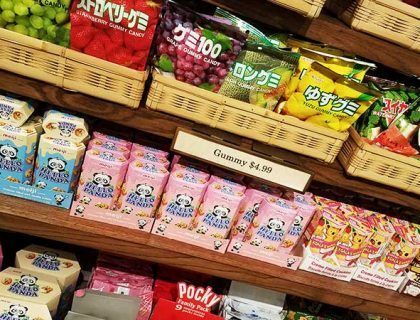 You can find links to purchase these items on shopDisney under each pic, but don’t expect these limited release items to last long. 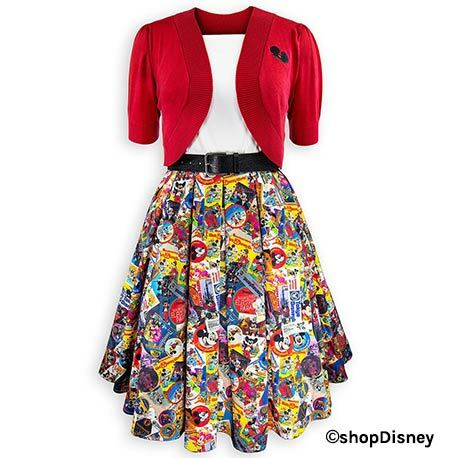 This dress and cardigan set also features the allover nostalgia patter on the flared skirt. The white bodice has spaghetti straps with “MM” embroidered on the front and “It was all started by a mouse,” on the back. This beauty also has pockets, and the look is completed with a faux leather belt and cropped red cardigan with an embroidered Mouse Ear hat. 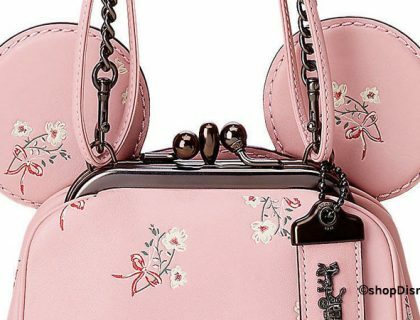 This look is expected to be available at the Disney Parks in late April, and it’s a good bet that you’ll be able to find it at the Dress Shop on Cherry Tree Lane.